1. What is the Project Management Institute (PMI)®? The PMI® was established in 1969. It is a not-for-profit association, dedicated to maintaining high standards in project management practices, certification and credentials. 2. Why should I choose a PMI® certification? PMI® certifications and credentials are sought-after on an international scale. 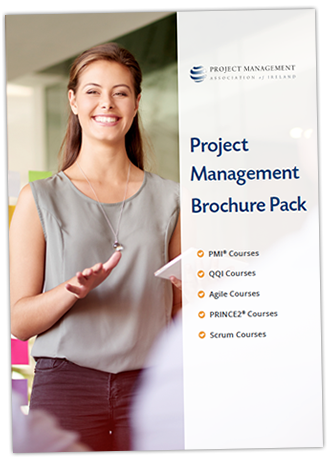 The standards covered in A Guide to the Project Management Body of Knowledge (PMBOK® Guide) – Sixth Edition are the most widely recognised in the project management profession. 3. What is a Registered Education Provider (R.E.P.)? A Registered Education Provider (R.E.P.) is an organisation that has been reviewed and approved as a provider of project management training by the PMI®. We always recommend that you choose an R.E.P. for your training needs when preparing to sit an PMI® exam. 4. What certifications are available? 5. What are the entry requirements? Entry requirements vary for each certification. You can learn more by visiting the course page, downloading a brochure, or phoning us on Freephone 1800 910 810 to discuss your eligibility. 6. Will I achieve my certification at the end of my course? No, our courses are exam preparation courses. They introduce you to the PMBOK® Guide, provide you with sample exam questions and answers, and help you to devise a suitable study plan before you apply for your exam. We also offer guidelines for the application process. 7. How do I apply for my exam? You will need to apply to sit your exam directly with the PMI®. There is an application process for this and we will offer tips and guidelines for completing this process during your training. 8. What are the exam fees? 9. I am unsure which course is best for me. What should I do? This is a very common question, as it can be tricky to decide which course is best for your level of experience, and which will be the best option for progressing your career. If you can’t find the information you need here, we’ll be happy to talk you through the differences between each course and certification. You can reach our team on Freephone 1800 910 810.